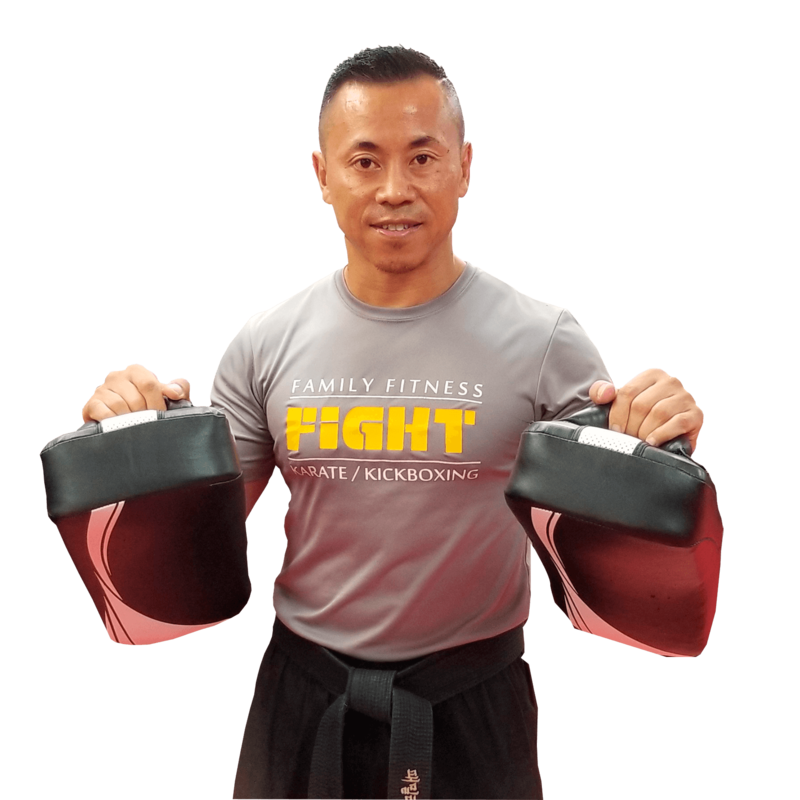 Since 1999, Family Fitness Karate and Kickboxing has provided its members with a road map to success based on self-defense, confidence and goal-setting skills. Hi, I’m Master Vinh Dang. When I opened my school in 1999, I made a commitment to serving and empowering the community of Jersey City by teaching children and adults the confidence, leadership, and fitness skills that can only be achieved through martial arts. Our programs have a strong focus on personal development. The foundations of our morals, values and core character traits are formed in our early years. For this reason, the programs at Family Fitness Karate and Kickboxing are an essential way to enhance the growth and personal development of young students of all ages. What Makes Family Fitness Karate and Kickboxing Different From other Karate & Kickboxing Schools? Karate is the style of martial arts practiced by Family Fitness Karate and Kickboxing students. One more reason you will love martial arts at Family Fitness Karate and Kickboxing! I cant say enough about how much I love this martial arts school. Master V and Master Mike are extremely knowledgeable, they push you to your potential, they motivate. The workout is super awesome you will torch fat and build lean muscle. And learn some serious martial arts skills. You feel like you are part of a family here. Even when I had some personal issues and couldn't get to the school, they reached out to make sure I was ok. They genuinely care about people. This is the spot! Try it and transform! My daughter has been going to Master Vinh's school since January 2018, and she has loved going and learning martial arts ever since. I've credited it to Master Vinh and his staff for being good to kids and for providing a fun way of learning mixed martial arts. I love the good influence MMA has on my daughterso much that I have joined as well since April 2018. I'm learning self defense and losing weight as well! Our son has been attending karate classes since October and we have noticed a significant improvement since. The instructors and staff are friendly and welcoming. Master Mike and Master Vinh are thorough in teaching technique and discipline while instilling respect and self confidence. Our son’s favorite part is the games or races played at the end of class. You can really see the excitement on the kids’ faces. True to their name, there is a sense of family and they invite parents to get involved during parents and me classes. Highly recommended. I have been training for five years now 6x a week. I am in the best shape I ever was. FFMMA has a well balanced Adult program. The dojo is very organized and clean with a positive atmosphere. Both Masters are very experienced and impressive. They dedicate themselves to getting you in shape, achieving your goals, advancing your skill level, giving guidance and emphasize values, life skills, and successful living. The staff are friendly, energetic, respectful, and informative. The dojo is family oriented. You meet great people and become a dojo family. The prices are reasonable. Various transportation is accessible to the school. I would highly recommend FFMMA to everyone. Come in and give it a try. I have become addicted and dedicated to martial art training. FFMMA is outstanding. True, genuine, honest and no gimmicks!!! Being a part of an amazing motivational class has changed my confidence level, inspiring me to do more then I ever thought I could do! My eating habits have also changed for the better. Thanks to all those who have motivated and push me forward!!! My girls totally enjoy this class, they've learnt so much. I feel a lot better knowing they'll be able to defend themselves if necessary! Teachers and staff are all approachable and helpful! Dear Master Vinh, my sons Robert & Roger have been attending your classes for almost a year now. It has been so rewarding watching my boys mature right in front of my eyes. The change in my youngest child Roger has been the most evident. Master Vinh and Master Mike have been there for him during his good times and his bad times. Roger has matured so much that it has reflected not only in the karate class but also at his school and as well at his home. I love the way everyone at Family Fitness treats my chidren, like family. They make sure my boys do well in school as well as respect their family and keep up with their chores. Honestly, enrolling my children in Family fitness Karate and Kickboxing has been the best choice I made in my life. Thanks Again!!!! My son has been a Family Fitness Karate & Kickboxing member for about 4 months. Both the facility and staff are terrific. My son is learning valuable skills and respect while having fun! Family Fitness Karate and Kickboxing has been an amazing experience! I signed my daughter up for the 6-week trial and we loved it! We are now full members, Master Vinh and Master Mike are amazing with the children! I've seen the focus and confidence that it has given my daughter. We truly love it here!